A B.C. 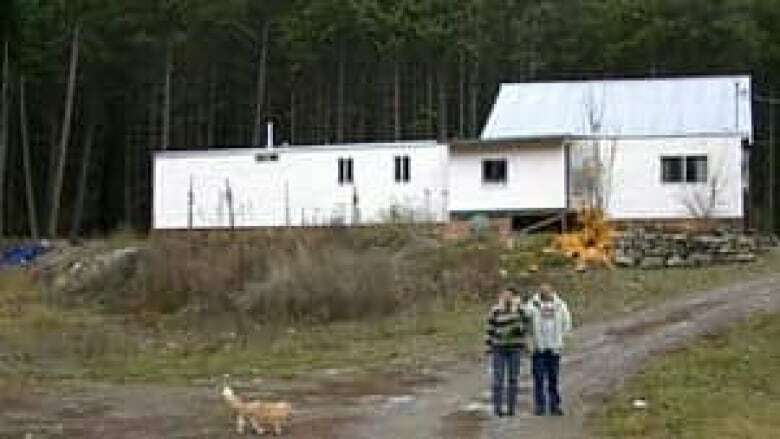 woman stands to lose her home because her own lawyer is about to foreclose on her property to pay his six-figure bill. A B.C. 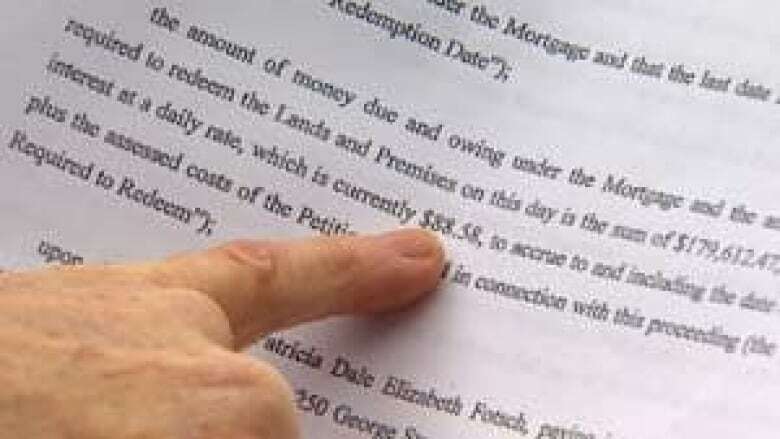 woman stands to lose her home to her lawyer, who is moving to foreclose on her to pay his six-figure bill. "My friends and family say this can't be happening. There's got to be a mistake," Dale Fotsch said. Fotsch got into the predicament after being sued by her former common-law husband, even though she won the case and the court ordered him to pay her costs. "I won, but I lost," Fotsch said. "I defended myself and now I'm losing my place." Fotsch, 54, lives near Pemberton with her disabled son and earns a modest income. Her only asset is her home and the 12 hectares of land it sits on. "I've worked two jobs, and I have for the last 25 years," Fotsch said. "When I was hit with this, it was just like a bomb went off in my life." A decade ago, her common law ex-husband Leigh Wilson went after Fotsch, trying to get a piece of her property after their breakup. The case took nine years to resolve, which was years longer than her lawyer had predicted, she said. "There was a three-week trial – three weeks! For my little place in the country. I mean, it just seems a little overboard and ridiculous," Fotsch said. "There were three tables of binders, with papers stacked sky high." She said she had already paid thousands in legal fees when the case finally went to trial in 2007. As it advanced, her lawyer said he wouldn't continue unless she allowed him to secure a $100,000 mortgage against her property, at 18 per cent interest per year. 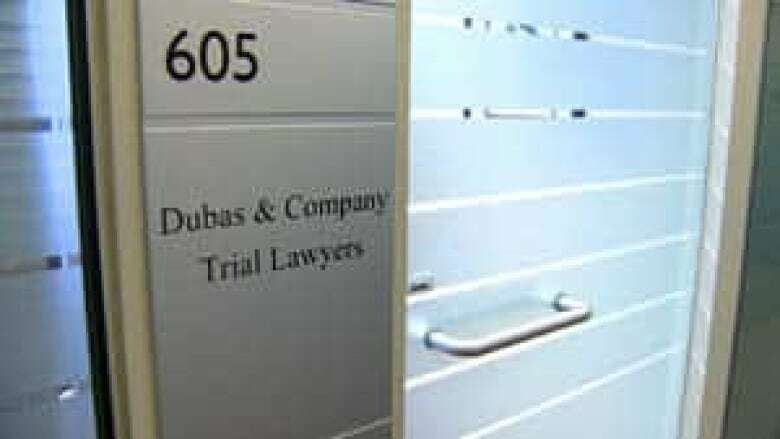 Vancouver divorce lawyer Jonas Dubas charges $300 an hour. His invoices to Fotsch include charges like $148.40 to simply call another lawyer and leave a voicemail message. "Lots of people get a divorce. For some of them, it costs a little bit, but nothing like this. I mean, this is huge," Fotsch said. When she finally won, in 2010, the B.C. 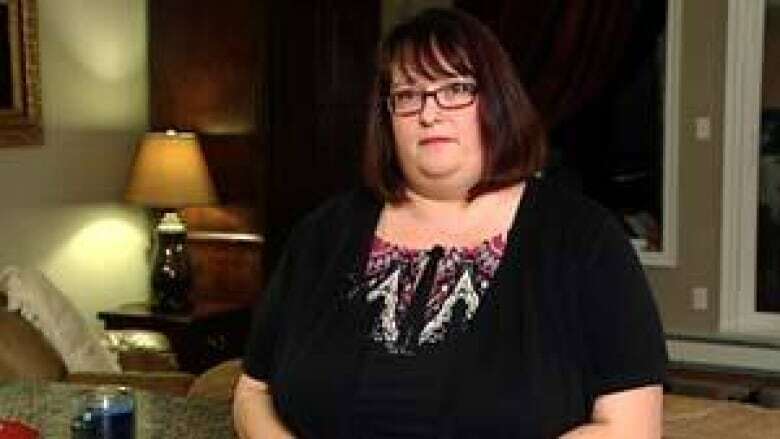 Court of Appeal ordered Fotsch's former husband to pay her court costs. That would have covered at least part of her bill from Dubas — which, by then, had reached $90,000. "When they said he was responsible for the costs, I thought that meant that he was going to pay them," Fotsch said. However, her ex-husband has since declared bankruptcy, so he hasn't paid and she can't force him to. Meanwhile, her legal bill has mushroomed — with $88 a day in interest charges — and has now reached $180,000. "I have a hard time sleeping at night. I'm one that keeps my bills paid. I've always paid my bills," Fotsch said. She said her bank refused to lend her money to pay her lawyer's fees because she already has another mortgage. Dubas has hired his own lawyer who is taking steps to foreclose on Fotsch's home. "I've done nothing wrong. What have I done wrong?" Fotsch said, choking up in tears. "I've gone to court like they told me I had to, to save my place. And now the very person that I got to help me is taking it." Fotsch said she realizes she is responsible for paying, but she said a legal system that would allow her to win her case then lose her home is perverse. "I'm not bitter at anybody. I'm kind of bitter at myself for getting involved with this man in the first place," she said, referring to her ex-husband. "It has totally wrecked my life. "But you know, we all make mistakes. It just seems like a big price to pay." Dubas told Go Public he could not speak on the record about the case, because Fotsch was his client. But, he said, he deserves to get paid. Dubas also stressed that the mortgage arrangement was perfectly legal and his client agreed to it. He justified the high interest rate by saying other lawyers arrange financing for clients at rates over 20 per cent. The Law Society of B.C., the governing body for the province's legal profession, would not comment on the case, but said that in general, what Dubas did is not against the rules. "The law society's rules and regulations do not prohibit a lawyer from loaning money to a client or advancing money... but there are guidelines that should be followed," spokesperson Ben Hadaway said. "A lawyer may not loan money to a client if the effect of loaning money is to give the lawyer an interest in the matter or impair the lawyer's professional judgment." Fotsch hasn't filed a complaint with the law society because she's still hoping for a resolution. After her experience with this lawsuit, she said she would do anything to avoid ever having to go to court again. "I would never go back in there again, not if my life depended on it, for anything. Nothing. What would be the point?" Halifax resident Lisa Finney said she, too, will never go to court again, after also winning her case but having nothing to show for it. Finney sued her employer, LifeMates, for wrongful dismissal in 2006. After her father died, she alleged in her statement of claim, her boss Craig Gleason gave her no time off to grieve and then fired her. When Gleason didn't show up in court, the judge ruled in Finney's favour and awarded her $10,000. Finney hired a paralegal to help her collect, but said it was futile. "No matter what I did, they could find a way to avoid payment. There was always a way to avoid it. And I could put good money after bad," Finney said. Gleason's bank refused to give her any information so she could seize money from his accounts. LifeMates is owned by a U.S. company, so it had no other assets in Canada for her to take. "It's kind of a joke, really. We spend a lot of money in the court system. Going to court and putting these cases together. Employing a lot of people doing so," Finney said. "And at the end of the day, if nothing comes of it, there's really no point. It's just a joke." Advocates pushing for justice reform say cases like these — particularly the legal bills — are driving increasing numbers of people to represent themselves in court or avoid the courts altogether. "Lawyers are quite simply priced out of most people's reach," said John Paul Boyd, a Vancouver lawyer with Access Pro-Bono, who gives free legal assistance to people in need. It's a problem Supreme Court of Canada Chief Justice Beverley McLachlin has been raising for years, and it's led her to lament that access to justice is becoming a privilege of the rich. Every year, the B.C. Court of Appeal flags the number of cases where people show up for court without a lawyer. In 2011, the number of unrepresented litigants had reached one-quarter of all cases. Boyd said billing disputes like Fotsch's are indicative of a bigger problem that only lawyers can fix. "Lawyers have priced ourselves beyond the reach of most people, and there appears to be nothing in the form of market forces that are correcting us in terms of the fees that we are able to charge," Boyd said. A Canadian Lawyer magazine survey found 52 per cent of lawyers plan to raise their fees next year. Fotsch's lawyer, Dubas, said it's a myth that lawyers are making great money. "People think lawyers are rich, but in fact there are firms that struggle to pay their bills," he said. Fotsch said she hopes once her story goes public, Dubas will decide to negotiate a settlement with her — perhaps accepting a parcel of her land that is undeveloped. "I can't lose my home," she said. "And I've appealed to his hopefully good side. But he's said no to everything and he won't listen to anything that I said." Submit your story ideas to Kathy Tomlinson at Go Public and follow @CBCGoPublic on Twitter.